Writing a decline job offer letter is important. Once you have decided not to accept a job offer, you should decline politely in writing or by email. You want to maintain good relations with the company as you never know when you may need them as a future contact in your career. The letter should be brief and to the point. Avoid mentioning anything negative about the position or employer. The letter does not need to focus on a specific reason for not taking the offer. If you have accepted another offer it is not necessary to state whose offer you accepted and why you have accepted it. Simply thank the employer for their offer, express your appreciation for their time and effort and formally reject the offer. Address the letter directly to the person who made the offer to you. Thank you very much for offering me the position of Customer Service Manager with XYZ Corporation. While I understand the position and your company offer a great deal to a prospective employee, I have had another offer which I believe more closely matches what I am looking for. Therefore, after giving it much careful thought, I must decline your offer. Thank you for your time and effort. I wish you and your company well. Be prompt. 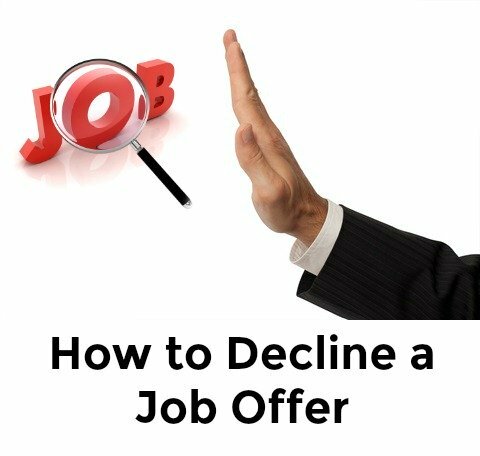 Once you have made your decision to turn down the job offer it is polite to write your decline job offer letter immediately. Any delays will impact negatively on the employer's hiring process. Keep it short and sweet. A concise and polite job rejection letter is appropriate. You do not have to go into detail about why you are turning down the job offer. If you have declined the job offer by phone it is professional to follow up with a letter or email. How to reject a job offer politely by email, after you have turned down the job offer over the phone. Thank you again for offering me the opportunity to work at XYZ Company. As I told you over the phone I regret that I must decline the job offer. After considerable thought I have determined that the position is not the best fit for me at this time. I enjoyed meeting you and learning about your company and I wish you every success in the future. "Can I decline a job offer after I have accepted it?" is a frequently asked question. The basic answer is that as long as you have not yet signed a formal employment contract with the employer you can legally change your mind about accepting the job offer. If you have signed an employment contract, read through it carefully to check your legal obligations. Confirm with an expert. It is worth exploring the option of turning down the job offer with the employer. Most companies would rather not have you start than begin your employment and leave very shortly thereafter. It is best to turn down the offer in person and to follow up with a decline job offer letter or email. I would like to thank you again for offering me the position of Sales Associate at GHB Company. I genuinely appreciate the time you spent with me and your consideration for the position. I have spent some time reconsidering your job offer and I have concluded that this job is not the best fit for my skills and experience. I believe it is in the best interests of both myself and the company to turn down the job offer. I am very sorry for any inconvenience that this may cause. I enjoyed learning more about your company and I wish you and your staff much success in the future. Be gracious in your decline job offer letter and build yourself a positive reputation! Use this how to resign checklist to ensure a smooth and professional exit from the company. 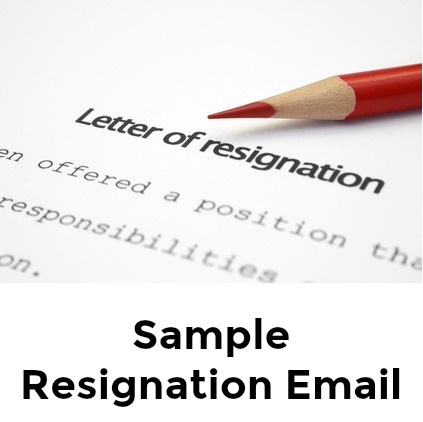 Download these free resignation letters to help your write a proper resignation letter.